One of the perils of being a book reviewer is accepting an author review copy of a book in a series when the book is not the first in the series. If you have no prior knowledge of the series or author, it’s a bigger gamble than usual. This was one of those moments. 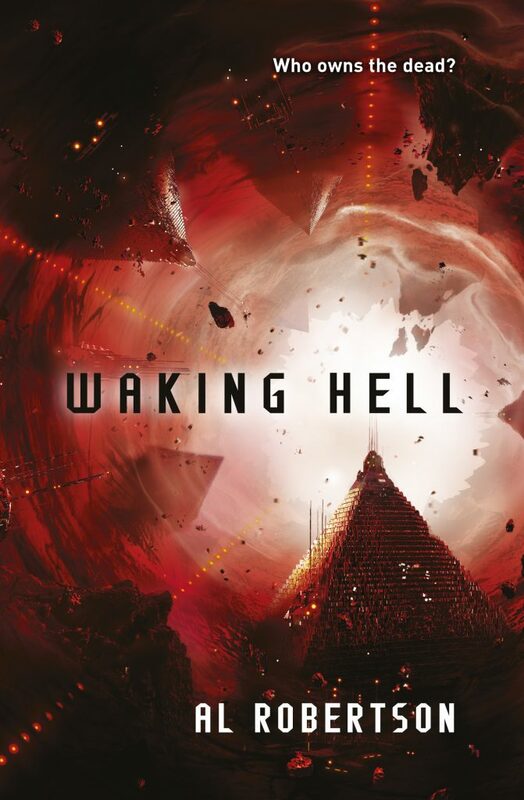 Waking Hell is the follow-up to Crashing Heaven, a cyberpunk influenced science fiction novel whose best feature is that it is completely original. 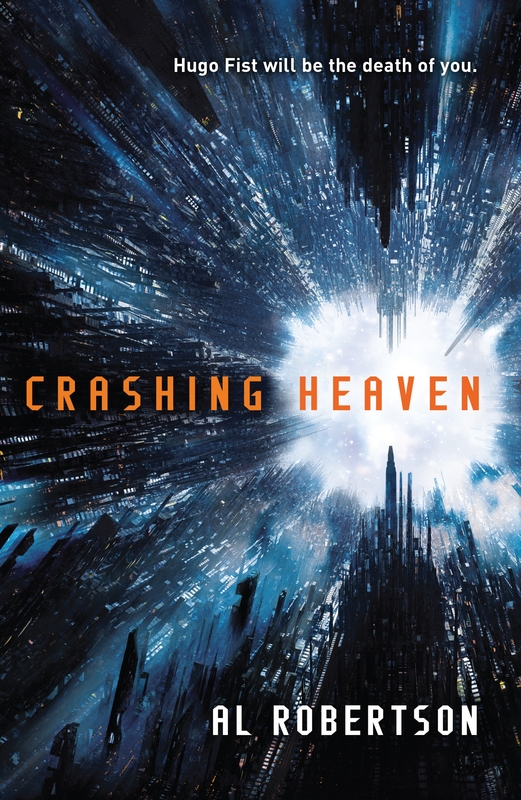 Not wanting to risk being completely lost, I read Crashing Heaven first… what an experience that was. Even by the end of the novel I could barely work out what was going on. In employing elements of a kind of virtual reality overlay and a bizarre ‘puppet’ character, Robertson made things very difficult for himself as well as the reader. Trying to figure out what was ‘real’ (in a physical sense) and what was only virtual was almost impossible. The pacing was terrible, being a drag from start to end, and the ‘mystery’ was as dull as it was nonsensical. All of which is a shame, as Al Robertson is a very pleasant chap. Waking Hell follows the story of Leila, a fetch (a virtual being constructed from a dead person’s memories), whose brother makes a deal with a mysterious and powerful corporation to provide for her after his death. Instead of being reformed into a fetch, the deal Dieter has made means that he has accepted a ‘true death’. But Leila isn’t ready to give up on her brother and begins to investigate the corporation behind her sudden cash windfall. She is aided by a Totality Mind designed to find corruption, and a kind old man who may be more than he appears. Thankfully, Waking Hell starts off much better that the series’ first instalment. Immediately it is based more in the tangible world, so that the audience isn’t constantly grappling with whether or not this is *actually* happening. The main character is immediately more relatable and interesting, especially as we are able to understand and empathise with the problem she is facing. I did like that both novels focus on friendship and/or family stories rather than romantic ones, but the second book is certainly the stronger one for this. Not only does Leila develop some interesting and well-developed friendships, but the strength of her love for her brother is a solid emotional thread for the entirety of the novel. Meanwhile, the pacing of Waking Hell is far better than Crashing Heaven, racing the reader along – at least, for the first half of the book. After about the halfway mark, the book starts running out of steam. The events that delay the quest throughout the novel never amount to anything more than plot contrivances. And it is annoying. It begins to feel as though Robertson is deliberately bloating the length. He has a way to finish the story that makes sense for everyone, but he needs a higher word count! The tension would build so well towards a climax only to fall again to nothing in a false promise of resolution. By the time the real ending did roll around, I was so frustrated with Robertson’s determination to be a tease that I didn’t care anymore. Another element to the story feeling as though it drags throughout the second half of the novel is that there is far too much planning. The characters talk through all of their strategic plans at great length and detail. While this might help ground readers in a thorough understanding of the why’s and how’s, it bogs down the plot. It isn’t an easy problem to solve. In my own writing, I have wondered about how to go about including a military-type strategy, coming across as clear and reasoned while maintaining the reader’s interest. Whatever the answer (if there is one), Robertson hasn’t found it here. These passages are repetitive, heavy-handed, laden with exposition, and dull. Even after two novels, the world in which the series takes place is difficult to come to grips with. Sometimes we’re told that everything the characters are seeing – and therefore describing to the reader – is weaveware (i.e. virtual reality overlaying the real physical world so that humans and digital consciouses perceive the code and not reality). This makes it difficult to know if anything the characters are seeing is ‘real’ and what the world is really like. This is less of an issue in the second novel (whereas, in Crashing Heaven I was confused at times as to whether something was happening in the real world, only in virtual reality, or in a kind of dream/hallucination), but it still makes for tricky reading sometimes. Robertson tries to address this issue by alluding to more tangible ideas such as having a kind of search-bot represented as using a shark or cuttlefish. This approach gives a physical/symbolic representation to things in the novel’s digital world that both anchors the reader in a context that they recognise and understand while also further muddying the line between where the physical reality and virtual world begins and ends. My limited exposure to cyberpunk as a genre has found this to be a common problem. Credit where credit is due, at least Robertson tries to tackle this issue by creating grounded representations of quite abstract concepts. As with most of my most disappointing reads, what bothers me most about Waking Hell is that there is so much potential for it to be great. Having gone into it not expecting much (given my dislike of Crashing Heaven) I was excited to find the second novel to be such an improvement. But the momentum was lost and my attention wavered. It could have been so much better. Verdict: Pacing issues and ill-defined world lead to a disappointing cyberpunk read. 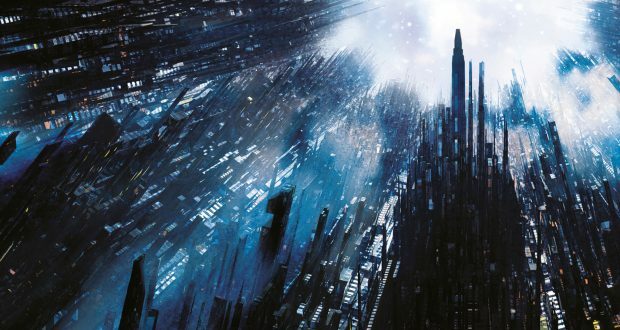 Next: Utopian future: Is this the end of dystopian fiction’s reign?